Donald passed away Monday, March 26, 2018 surrounded by his family at his home in Otsego. He was born May 17, 1928 in Chicago, IL, the son of Adelbert and Elizabeth (Masset) Moore. For many years Don had worked as the superintendent of machines at the Mead Corporation until his retirement in 1987. In his spare time he enjoyed woodworking, hunting, farming, working in his garden, Civil War history and antique tractors. 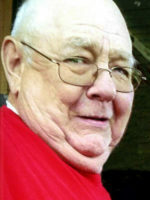 He was a member of the First Baptist Church of Otsego and a former board member of Christian Neighbors. On July 29, 1950 in Otsego he married Rayma Fritz who survives. Also surviving are his daughters, Donna (Russ) Philmon and Marilyn Moore; 9 grandchildren, Stephanie (Neil) Feltenberger, Tanya (Tim) Marsh, Rodney (Renee) Philmon, Abram (Amanda) Braden, Rachel (Adam) Todd, Jaime Braden, Camille (Alex) Dawson, Benjamin Arce and Micah (Abigail) Arce and 13 great-grandchildren. He was preceded in death by his parents; son, Rodney Moore; daughter, Nancy Braden and sister, Margaret Nichols. Friends may visit with Don’s family from 6-8 P.M., Tuesday, March 27, 2018 at the Winkel Funeral Home, Otsego. A funeral service will be held at 2:00 P.M., Wednesday, March 28, 2018, at the First Baptist Church of Otsego with Pastor Paul Laborde officiating. Contributions in memory of Don may be made to Wings of Hope Hospice of Allegan. Harley Seekman passed away Sunday, April 2, 2017 in Allegan surrounded by his family. Harley was born August 18, 1927 in Zeeland, Michigan, the son of John and Winnie (Zoet) Seekman. He served his country in the U.S. Army during WWII, stationed in Japan. On January 1, 1951 he married Mary Lou Milin in Chicago, IL. They started their lives together in Otsego. Harley was employed at the Mac Sim Bar paper mill in Otsego and later was self-employed in home construction. He enjoyed playing baseball with his family, helping them perfect their skills. Harley loved his family and traveled often to see them. His grandchildren were the light of his eye. Survivors include his wife Mary Lou; daughters, Kathy (Dorian) Jung of Portland, OR; Judy (DeWayne) DeLaet of Forest, MS and Mary (Bob) Pedersen of El Segundo, CA; grandchildren Miranda, Rebecca and Robby Pedersen; sisters, Dorothy (Bob) Hunt of Allegan, Joan Button of Otsego, brother Dickie (Jane) Seekman of Battle Creek and many nieces and nephews. He was preceded in death by sisters Marie, Edna Mae, Shirley and his brother John. Cremation has taken place. Memorial visitation will be held from 4:00 pm to 6:00 pm on Thursday, April 6, 2017 at Winkel Funeral Home where an informal prayer and time of sharing will be held at 5:00 pm led by Chaplain Greg Carlson. Friends and family are invited to join with Harley’s family for fellowship after the visitation. Contributions in memory of Harley may be made to Wings of Hope Hospice, 530 Linn Street, Allegan, Michigan 49010 . 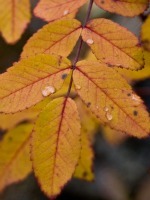 Messages of condolence may be posted at www.WinkelFuneralHome.com. Ed passed away Wednesday, March 8, 2017 at his home in Otsego. He was born May 30, 1925 in Otsego the son of Ray and June (Clink) Burdick. Ed had worked at Perrigo as an electrical technician until his retirement in 1995. In his spare time Ed enjoyed tinkering with electronics. He was a member of the Friendship Wesleyan Church of Plainwell. Surviving are his great nephew, Wayne Hawk and great niece, Debra Taylor. He was preceded in death by his parents and many extended family members. A funeral service will be held at 1:00 P.M., Monday, March 13, 2017 at the Winkel Funeral Home, Otsego with Pastor Kevin Smith officiating. Contributions in memory of Ed may be made to Wings of Hope Hospice. 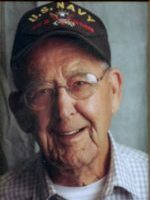 Ragie L. Buck passed away Sunday, March 5, 2017 at the Allegan County Medical Care Community. Mrs. Buck was born January 13, 1926 in Springfield, MO to George Washington and Ruth Alberta (Payne) Honicutt, but after her father’s sudden death, the family moved to Michigan. Starting around the age 9, she was raised at the House of David in Benton Harbor, MI. Less than a month shy of her 17th birthday, she married Francis Lewis Buck on December 24, 1942. 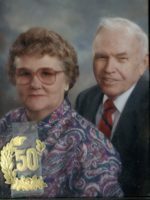 Reggie (as she was often called) followed her husband around the United States while he served in the Army, working various civilian jobs to serve the cause. After the war, they settled in Coloma to raise a family. She became a foster mother and devoted her life to being a parent and grandparent. As son Ron’s children grew up and granddaughter, Shannon moved out of state, Ragie and Louie moved to Otsego to be close to and help raise grandchildren, Alissa and James. She was the ultimate mother figure. She modeled appropriate behavior and intellect far beyond her limited formal education. Her love was not limited to biologically related family. All were always welcome in her home. She loved gardening, canning and cooking. She was especially known for her pies and cinnamon rolls. She learned to like sports, rather than become a Sunday afternoon widow. She developed her own favorite teams in football, basketball and baseball. It took Derek Jeter to get her to cheer for her husband’s lifelong favorite baseball team, the Yankees. She thought Jeter to be such a great role model and questioned the ethics of players that her grandson James would cheer for. She enjoyed their good-natured banter on ethics. She was preceded in death by her husband Frank in 2005. Surviving are her three sons, Ronald (Shirley) Buck of Watervliet, Michael (Deborah) Buck of Otsego and Carl (Sharon) Buck of Richland; grandchildren, Melinda Buck, Robert Buck, James (Laurel) Buck, Alissa (Ryan) Renner, Shannon (Lt. Col. Clifton) Harris, Zachary Ullisch, Kaydie (Ashley) McCormick, Kelsey McCormick and great-grandchildren, Elora, Alexander, Gabriel and Abraham Harris, Jace Ullisch, Cohen Renner and Sullivan and Shuyler Buck. A private family burial will take place at Trowbridge Methodist Cemetery in Trowbridge Township. Friends may visit with Ragie’s family from 3-5 P.M., Sunday, March 12, 2017 at the Winkel Funeral Home, Otsego. In lieu of flowers, the family would encourage donations to Wings of Hope Hospice or the Allegan Medical Care Community. Patty went home to be with her Lord, to lie in the grass and look up at the blue sky and to see her daddy’s face, on her 47th wedding anniversary, Tuesday, January 10, 2017. She was born in Plainwell on July 9, 1952, the daughter of Kenneth and Betty (Dekilder) McLaughlin. 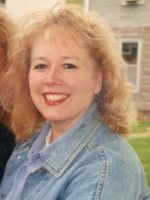 Patty had worked at several area businesses including, Boulter’s Gifts in Otsego, Bright World in Kalamazoo, Neurosurgery of Kalamazoo and had also sold Avon and taught aerobics. In her spare time Patty loved going shopping in Shipshewana and decorating for Halloween and Christmas. On January 10, 1970 at St. Margaret Catholic Church she married her grade school sweetheart, Michael Pearson who survives. Also surviving are their 2 beautiful children, Amy Arlene and Michael Kenneth who were her strength to live every day; her loving grandsons, Joshua and Jacob Wood who kept her life happy every day; her wonderful son-in–law, Bill Wood who rescued her from time to time; her mother, Betty McLaughlin; sister, Sandy (Gary) Zantello; her in-laws, the Pearson family who always supported and prayed for her; special friends, Sharon Watson, Debbie DeYoung, Elizabeth Zadney and Ted Martin, without their support she wouldn’t have gotten through many days and her beloved kitty, Callie Mae. She was preceded in death by her father and many extended relatives. Friends may meet with Patty’s family from 2-4 and 6-8 PM, Friday, January 13, 2017 at the Winkel Funeral Home, Otsego, with a Rosary Service at 7:30 PM. A Mass of Christian Burial will be held Saturday, January 14, 2017 at 11:00 A.M. at St. Margaret Catholic Church, Otsego with Rev. Fr. Ben Huynh and Rev. Fr. Donald Klingler officiating. Burial will follow at Sacred Heart Cemetery, Watson Township. Contributions in memory of Patty may be made to Wings of Hope Hospice of Allegan or St. Margaret Catholic School. 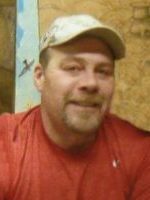 Richard A. Davis Jr. age 55 passed away peacefully Tuesday, December 13, 2016 at his home in Otsego. He was born May 8, 1961 in Kalamazoo the son of Richard and Sylvia (Christian) Davis. Rick had lived in Montana for a short time and had worked at Big Sky Genetics Bull Ranch. After returning to the area and for the past 27 years he had been employed at Spartan Foods. In his spare time Rick enjoyed hunting, fishing, trapping, golfing, farming, his tractor, mowing the lawn, taking trips out west with his dad and following the Detroit Lions and U of M Wolverines. Rick was a very giving man and loved helping others. Most of all he loved his girls and spending time with his family. On July 13, 1984 he married Tina Shouse who survives. Also surviving are his daughters, Angela Ansel of Dubai, Rashell (Travis) Quick of Delton and Cassandra (Jason) Stolt of Otsego; 6 grandchildren, Lauren and Alexis Ansel, Maylee and Melodi Mitchell, Kiya and Aleiya Stolt; his parents; siblings, Vicky Kent, Sheri O’Reilly, Jim Davis, Julie Kubiak and Bob Shouse; father-in-law, “Pa”; grandmother, Ann Davis along with many aunts, uncles, cousins, nieces and nephews. He was preceded in death by many loving family members. Friends may visit with Rick’s family from 1-3 P.M. and 5-7 P.M., Friday, December 23, 2016 at the Winkel Funeral Home, Otsego. Contributions in memory of Rick may be made to Wings of Hope Hospice. 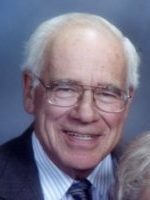 Darl F. Buzzell “Buzzy” age 79 passed away Monday, August 29, 2016 at his home in Otsego. He was born October 9, 1936 in Otsego the son of Fred and Florence (Bailey) Buzzell. Darl had worked at Mac Sim Bar Paper Mill and then at Hammond Machinery and Roto Finish for over 30 years until his retirement in 2000. Darl was always working and enjoyed painting cars, woodworking, especially making rocking horses and had been a member of the Otsego Elks Lodge. On September 23, 1955 in Otsego he married Bonnie Shook who passed away in 2009. Surviving are his children, Vickie (Jeff O’Brien) McVay of Kalamazoo and Scott (Amy) Buzzell of Otsego; 2 grandchildren, Andrew Bourner and Breanne (Cody) Boeve; 1 great-granddaughter, Emsley Boeve; brother, Ron (Audrey) Buzzell of Allegan and several nieces and nephews. He was preceded in death by his parents, wife and sister, Lois Coffey. A private family memorial service will be held at a later time. Contributions in memory of Darl may be made to Wings of Hope Hospice of Allegan. 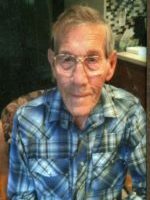 Jerry passed away Friday, July 29, 2016 at Borgess Hospital. He was born February 3, 1942 in Dominion City, Manitoba Canada to Herman and Alvina (Hartig) Steinke. Jerry had worked for General Motors for 33 years until the Kalamazoo plant closed and he retired in 1998. He enjoyed doing things for others and had built several decks and other construction projects after his retirement. Jerry loved fishing up north for bass, ice fishing in Canada for walleye, hunting for deer and bear, canning tomatoes, and going to the private men’s club meetings on Wednesday and Friday nights. On March 8, 1963 in Kalamazoo he married Joyce Niles who passed away in 2005. Surviving are his children, Richard (Kandy) Steinke of Otsego and Wendy Baden (John Stech) of Delton and his grandson, Richard Steinke of Allegan. He was preceded in death by his parents; wife, Joyce Steinke; son, William Steinke; son-in-law, Tim Baden and sister, Lilly Ann Lancaster. Friends may visit with Jerry’s family from 10:00 AM until 12:00 PM on Monday, August 1, 2016 at the Winkel Funeral Home, Otsego. A graveside service will follow at Mountain Home Cemetery in Otsego with Celebrant, Bill Rose officiating. Those attending are asked to dress casual per Jerry’s request. In lieu of flowers contributions in memory of Jerry may be made to Chicora Country Chapel or Wings of Hope Hospice.